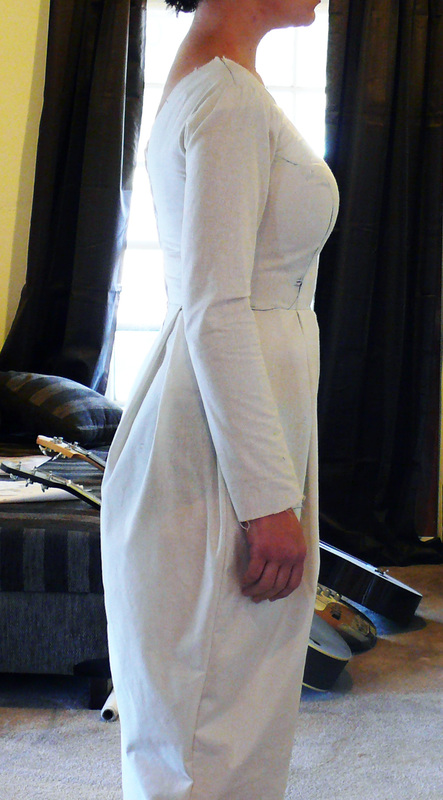 So, here’s my second Elisalex dress muslin. Tell ya what, I love the shape of this dress. The fitted bodice, nice scoop back and poofy tulip skirt make a very Lauren-esque combination. Lop off 20cm off the hem of the skirt… MUCH MORE FLATTERING. Sits just on the knee now. FYI: This skirt is NOT easy to walk in. Lucky I work in an office! Add pockets. I think the poofy tulip skirt is just asking for pockets. 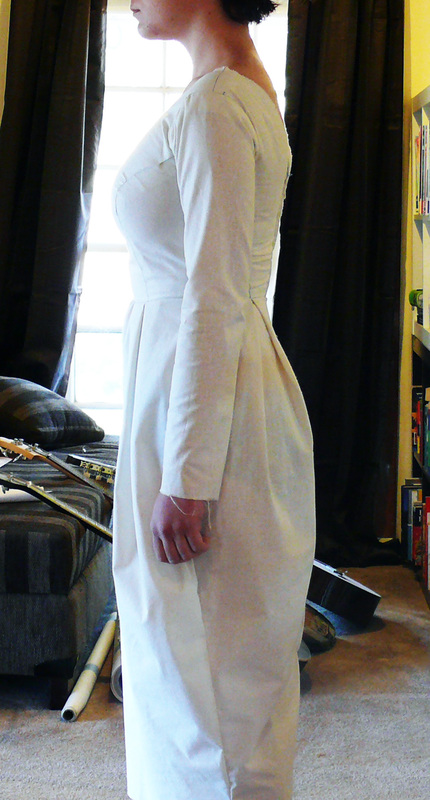 Should I make a muslin to test out the pockets? Probably. Am I just going to follow this tutorial? Yep. Underline the skirt in organza. I am a teensy bit paranoid my sateen isn’t structured enough for the awesomeness of the tulip skirt. I think a bit of organza will help keep its shape AND the inside of the dress will look very profesh (not something I generally strive for). Maybe a hand-picked zipper??? The zipper I used for the muslin was the 32″ as suggested by the pattern, but I could only get an open-end zip at that length. To match my fabric I’ve purchased a dark blue dress zip but it’s only 24″. It shouldn’t make a difference in terms of me getting in and out of the dress. 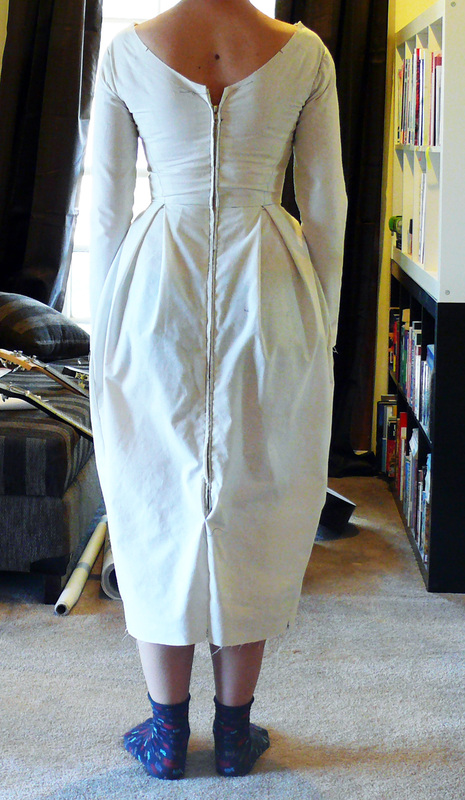 MOST IMPORTANT: the pulling on the back bodice of the dress is an indicator of just how fitted this bodice is. I don’t want to add much ease because I really like the fitted/skin-tight bodice, but those drag lines on the back don’t look great. I think I will apply the same adjustment to the back bodice pieces that I did to the front, that is, grade out to the size 10 in the princess seams. Again, I should probably make another muslin but I plan to baste the back pieces together and get LL to pin me up before I attach the skirt. Fool-proof plan, right?? ha. So that’s my plan of attack for Elisalex! Can’t wait to get started on this beauty!